Many Monroe County residents recently visited some of the most significant sites in the Christian faith. 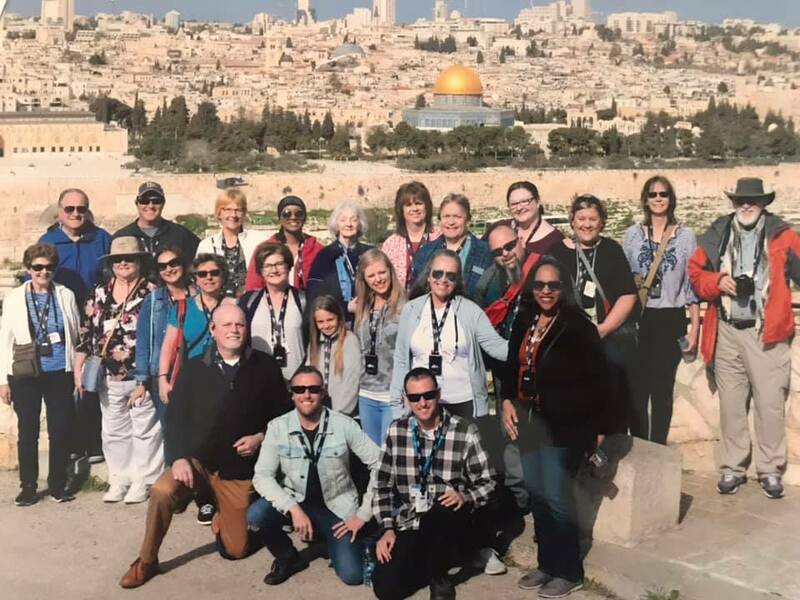 Led by Senior Pastor Matt Heck of LifechurchX and Lead Pastor Darrell Jones of Hope Christian Church, 24 people traveled to Israel to see many of the famous places mentioned in the Bible. This trip, which took place March 5-14, is the second time Heck has visited the Holy Land. In 2017, he and members of his congregation joined a larger group of people who were touring the region through Noseworthy Travel Services, a Christian group tour operator. That first experience convinced Heck he needed to lead his own tour through the agency to give Monroe County residents an opportunity to go. On the most recent trip, about two-thirds of the people came from LifechurchX in Waterloo or Life Church in St. Louis. The rest of the travelers were members of Hope Christian Church in Columbia. Jones said he and his church had a relationship with Heck, so they were glad to visit Israel with them. “It’s been on my bucket list for years and on many people in the congregation’s bucket list, as well,” Jones noted. On the first half of the venture, the churchgoers traveled in the city of Tiberias in the Galilee region, which is where the Bible says Jesus performed the majority of his miracles. For the second half of the tour, the group went through Jericho to Jerusalem, visiting areas related to the Passion of the Christ and events described in the Old Testament. The group was guided by a certified tour guide. Heck agreed the fellowship was a highlight. Jones and Heck said the trip had the added benefit of letting attendees see the area they read about and hear about so much in their faith. This will not be the last time these churches journey to Israel. Heck is planning to lead another tour for locals in November 2020 or March 2021, depending on the level of interest. The cost of the trip varies based on the itinerary, but it generally costs $4,000-$4,5000. That includes every expense from airfare, to meals, to tour guide fees. Those interested in the trip are required to pay a $300 refundable deposit. The trip is open to anyone – not just members of LifechurchX or Hope Christian Church. “That is really what our heart would be: that other pastors, other churches and other people in the community who are interested in taking a trip like this would be willing to come along with us,” Heck said. Heck and Jones agreed that those who decide to attend will see the benefits of it. For more information on the upcoming trip, visit lifechurchx.com/israel.